I am a practical garden for the most part. I appreciate beautiful flower gardens, am always amazed by the work and care that goes into gorgeous dahlias or perennial beds. However, it's not what I as a gardener am immediately drawn too. Vegetables, fruits, and herbs that are edible and medicinal are my primary passions. Practical does not mean bland or ugly, however; we can fill our gardeners with pretty and useful plants. Bee Balm (Monarda) comes in a variety of colors like purple, red, and pink. All of the various colors are edible and medicinal. Hummingbirds love bee balm and are likely to visit it all summer with bumble bees and butterflies. It likes full sun but will tolerate partial shade. Bee balm is in the mint family and its flowers and leaves do indeed have a mint-like flavor. Use the flowers and leaves in salads and even pesto. Medicinally, bee balm is antibacterial and antimicrobial. 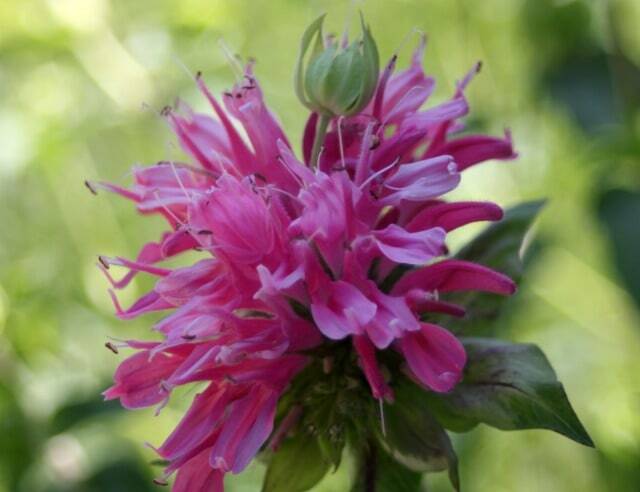 Bee balm can be used topically in healing salves and internally to help fight colds in tinctures and oxymels. These orange flowers, their stalks, and tubers are edible. Be sure to identify correctly – not all lilies are edible, some (including hybrids) can be poisonous. 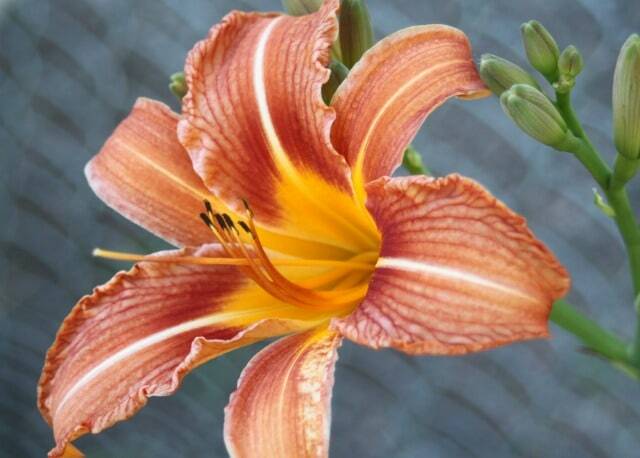 It is also said that some folks get upset stomachs from daylilies (a small percentage) so sample a small bit first before eating large quantities. All parts of daylilies (Hemerocallis fulva) are edible. The fresh flowers can be used in salads, dried flowers are lovely in broths. The tubers can be cooked and eaten like potatoes. It's almost impossible to get all of the tubers dug up so don't worry about destroying your beautiful flowers. Eat the tubers when the daylily patch needs a little thinning. These early summer aromatic blooms tend to grow in many places and are often overlooked. They grow well and fast with very little care from the gardener which makes them even more desirable in a busy garden. 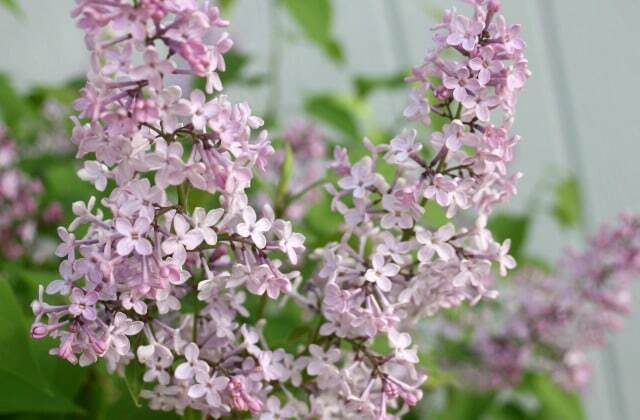 Most of us can easily recognize lilacs but very few people realize that they are also edible. Are lilacs going to be a staple in a household's diet? Probably not. They can, however, add flavor and color to sweet treats like cookies and rice pudding. Toss the blooms into salads for a beautiful and tasty addition. 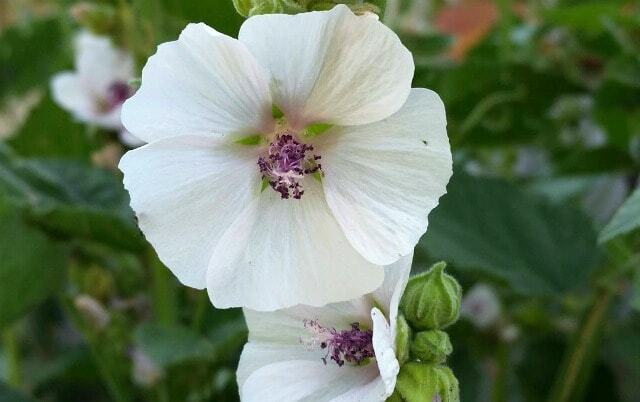 Marshmallow (Althaea officinalis) is a tall and beautiful perennial in the herb garden. This beauty gets tall, at least 3-4 feet tall and I've had some get stalks over 5 feet. Plant it in well-drained soil where it won't shade out other plants. Start from seed or simply get some root cuttings from a friend. 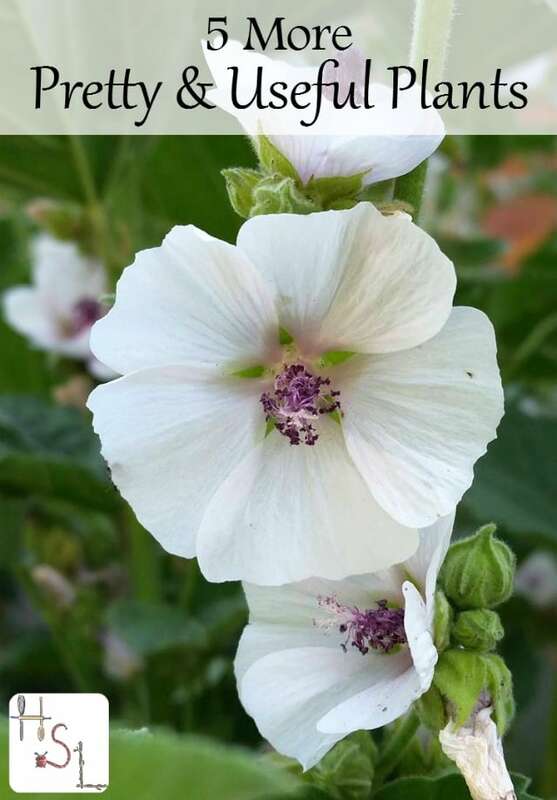 The bees and other pollinators love this beauty too and fill its blossoms all summer long. The roots and leaves are often used to treat dry coughs and sore throats. Let the plant get established for at least 2 years before harvesting the roots for medicinal uses. A poultice of the fresh leaves is good for insect bites and swelling. 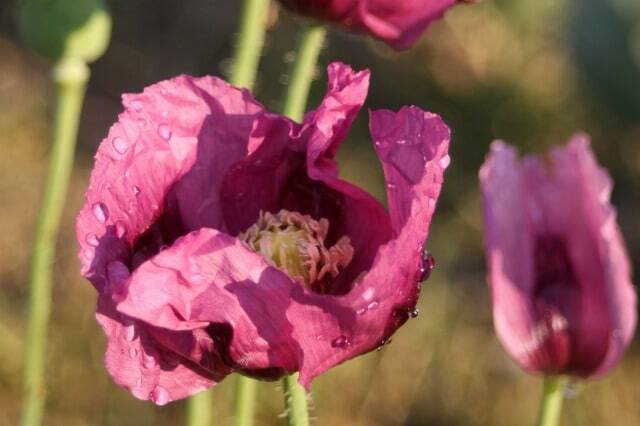 A disclaimer before we delve too far into these beautiful flowers: Some poppies are poisonous, identify carefully. Two particularly beautiful and useful poppies are the California Poppy (Eschscholzia californica) and the Breadseed Poppy (Papaver somniferum). These perennial beauties have delicate petals that eventually give way to the typical poppy seed pod. The leaves are traditionally used to treat anxiety and insomnia. Most people make a tincture out of California poppies but a cup of tea can also provide the medicinal benefits. These are some of my favorite flowers to grow. The blooms fade quickly but they are gorgeous while they last. After the blooms fade the pods dry out and leave behind delicious and useful seeds. These seeds are amazing in breads, cookies, salad dressings, and more. Remember to save some of the seed for next year's garden. Remember to keep those gardens full of pretty and useful plants by filling them with edible and medicinal plants. These plants not only serve our homesteads but many of the creatures and insects that with whom we share the earth. These plants will not only feed the body with their usefulness but also the soul with their beauty. What pretty and useful plants are you including in your garden this year? Thank you so much for the information. I am very interested in learning all I can about this. I’m growing edible hibiscus this year. I’m really excited to try it as we love hibiscus tea. Yum! I don’t have the climate for it. I’m jealous! California poppy petal tea is silky smooth and delicious, but one needs quite a few thin delicate petals for one cup. That’s why I decided to make a tincture, which extracts much more medicinal qualities with the same amount of the flowers. I just set some today in a brandy. I wonder, if we can use bread poppy petals the same way?